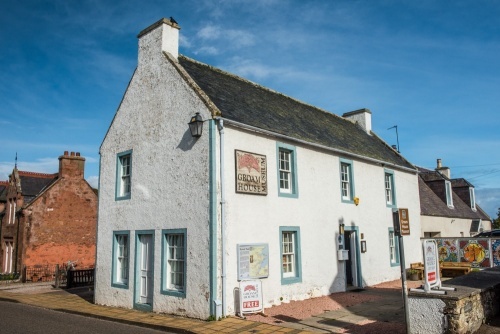 This small museum in Rosemarkie is home to the best collection of Pictish art in the Ross-shire. 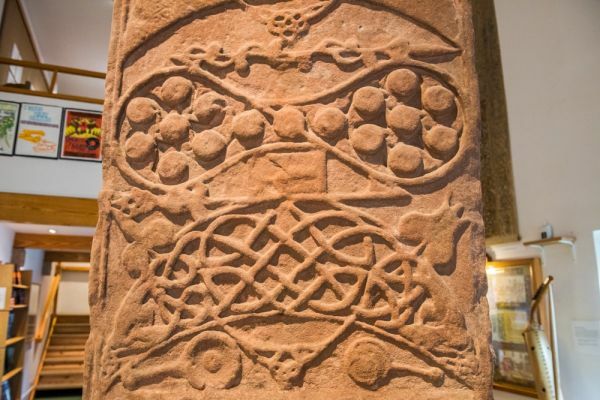 The core of the exhibit is 15 beautifully carved Pictish stones, all carved locally, dating to the 7th-9th century. Rosemarkie today is a picturesque village, but when the early Irish missionaries began to spread Christianity across Scotland this was an important centre, so it should come as no surprise that the Groam House collection has inspired generations of artists. One of the artists was George Bain, dubbed the 'father of modern Celtic design'. A large collection of Bain's work is held in the museum, near the stone carvings that inspired his best work. 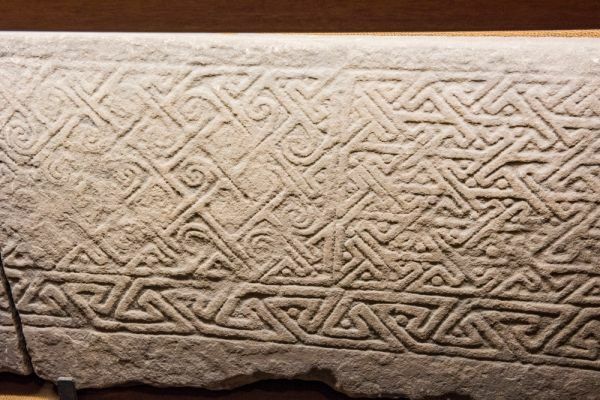 This is the star exhibit; a cross-slab carved with intricate Pictish designs and Christian symbols. 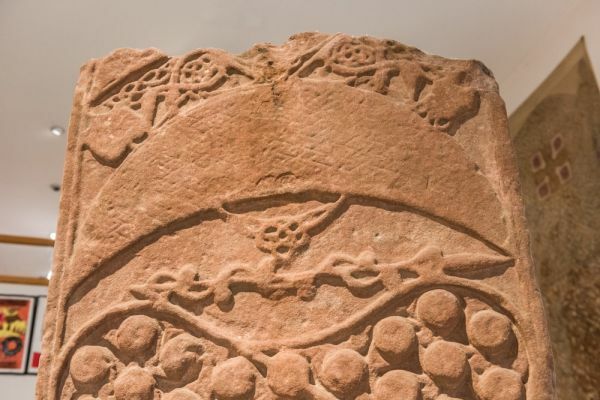 It was made in the late 8th century, and almost the entire surface of the stone is carved with intricate interlace patterns, crosses, and traditional Pictish symbols such as the crescent and V-rod, double-disc, and mirror. Nearer the base animal figures are woven into the geometric patterns. What is really unusual is that instead of the hunting scene you might expect to see in the lower half of the stone (see Aberlemno, for example) there is a large Christian cross. The cross is set within a fantastically intricate border that looks like the illuminated manuscripts of the same era. 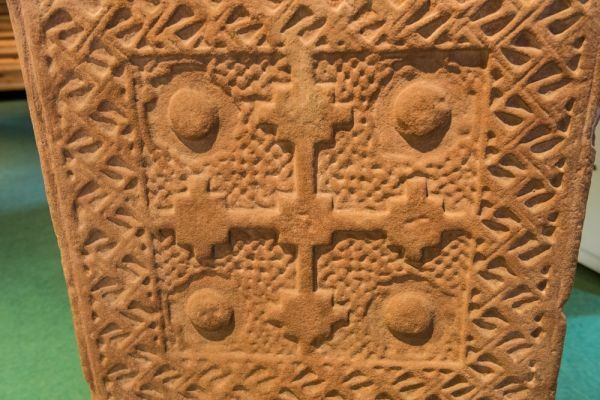 This unusual cross carving alone has led the Rosemarkie Cross Slab to be labelled 'one of the wonders of Pictish art'. Another unusual feature of the Rosemarkie carvings is the use of recessed panels (where the design is set into the stone surface rather than standing out in relief). 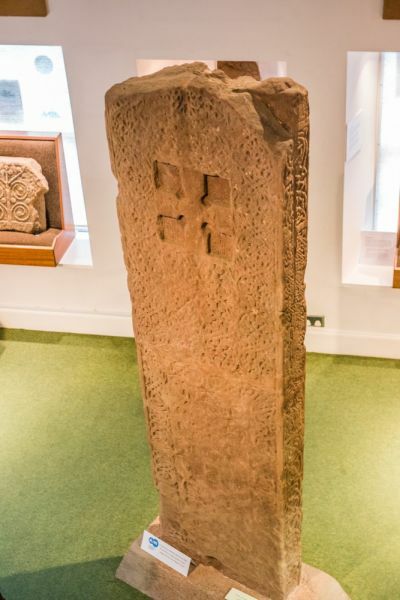 The Rosemarkie Cross Slab is just one of the Pictish carved stones on display. Many of the others are fragments of larger carvings, including a wonderful replica of a carving showing three different grotesque beasts attacking a human figure. The largest beast might represent a bear, and the others might be wolves. The carving may be meant to depict a scene of death and damnation. The original stone carving is now in the National Museums Scotland. 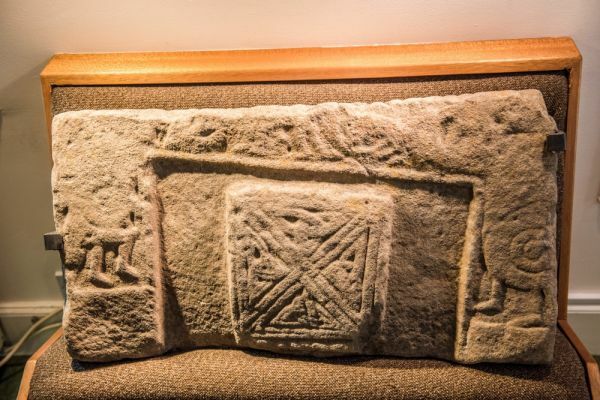 Another remarkable stone is a sculpted slab that may be a fragment of a shrine from Rosemarkie's first stone church. The shrine was a stone box, or container, for preserving a saint's relics. The shrine was made about 800 AD, possibly for the bones of St Curadan. Another possibility is that it contained the bones of St Moluag, who died in 592 AD. 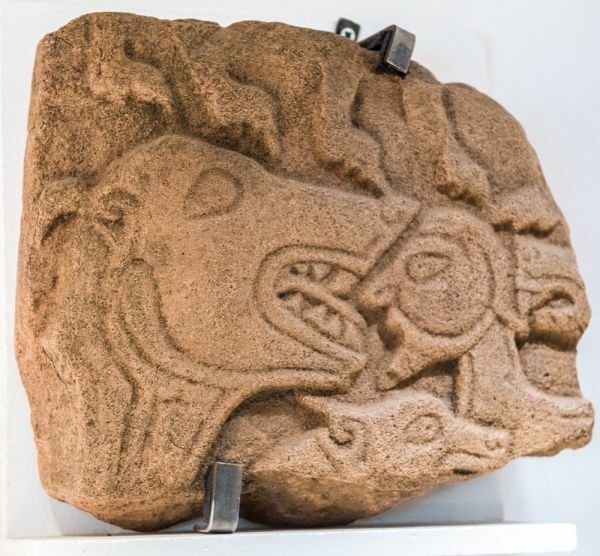 Aside from the Pictish stones and the Bain Collection, the museum has a wealth of archaeological finds from around the region, plus displays on local history, and more carved stones from the medieval period. The first-floor chamber is reserved for temporary exhibits. 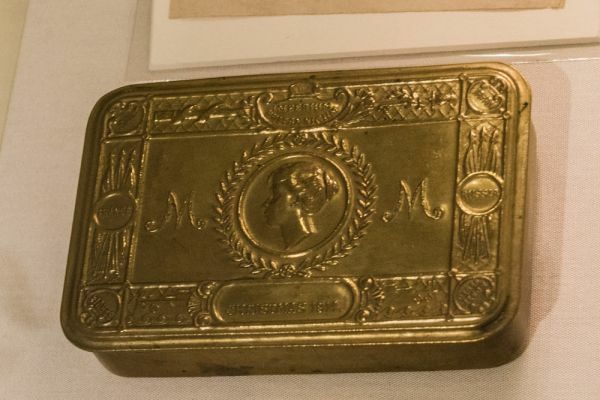 When we visited these included a look at Rosemarkie in WWI, from the activities of the Black Isle Farmers Society to raise funds, to Christmas gifts sent to troops at the Front in 1917. The museum is open seasonally and is usually closed during the winter months. Please see the official website for current opening details. Note that the museum depends on volunteers. This can occasionally mean that even the advertised opening times can be unreliable, for instance if no volunteer is available for a specific time slot. This happened to us on one visit. We arrived at the door expecting the museum to be open, only to find it closed with an apologetic note saying that no volunteer was available for that morning. Luckily there's plenty to see on the Dark Isle and we were able to return later that day when we found the museum very much open - and very much worth waiting for. The museum staff even printed off a brochure for us, showing where to see other Pictish carved stones in the area. Groam House Museum is a delightful little museum, and the collection of Pictish stones, especially the Rosemarkie Cross Slab, is exceptional. 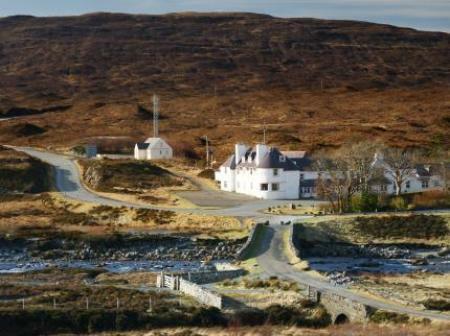 Nearby accommodation is calculated 'as the crow flies' from Groam House Museum. 'Nearest' may involve a long drive up and down glens or, if you are near the coast, may include a ferry ride! Please check the property map to make sure the location is right for you.